H 21" W 32" D 15"
This table is designed to sit beside a chair or sofa. The top is a beautiful natural edge curly maple plank with much chatoyance. 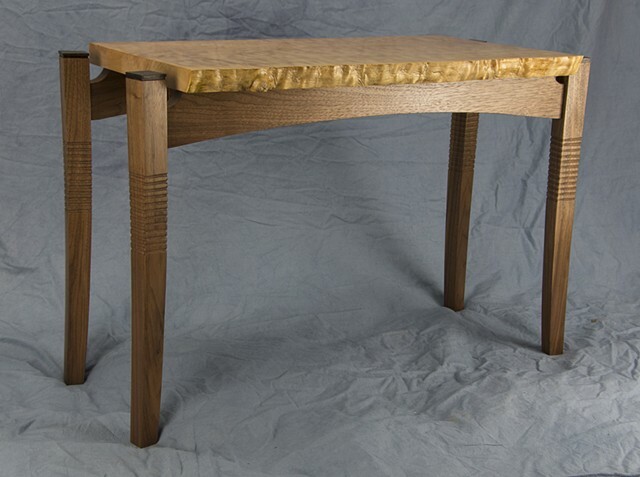 The base is walnut and the legs have a chiseled texturing echoing the live edge.